Affogato Hazelnut, originally uploaded by Camemberu. Yeah, we did it again. Menotti for desserts, despite that heavy meal at Seah Street Deli earlier. This time round, three different things. 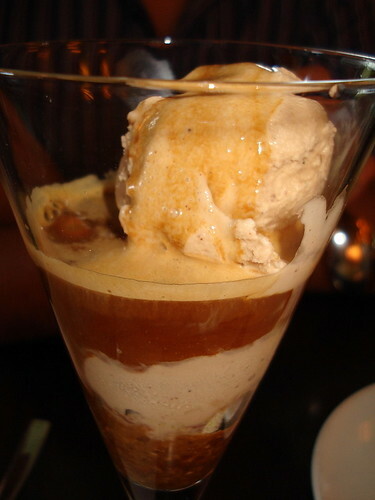 The Affrogata Hazelnut, which is espresso poured over hazelnut ice cream and various nuts, very delicious combination. This was the best of the three. Tiramisu, originally uploaded by Camemberu. 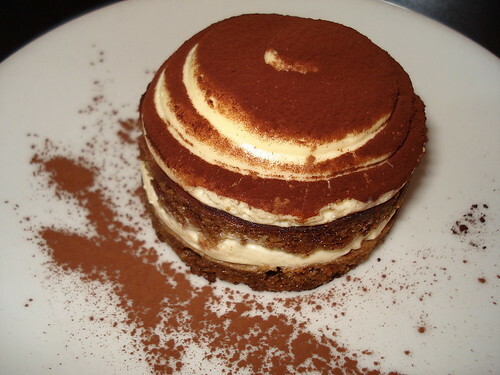 We also had the Tiramisu, which I was OK with but hubby didn't like. Multi-layered light mascarpone cheese cake soaked with coffee and heavily dusted with cocoa. 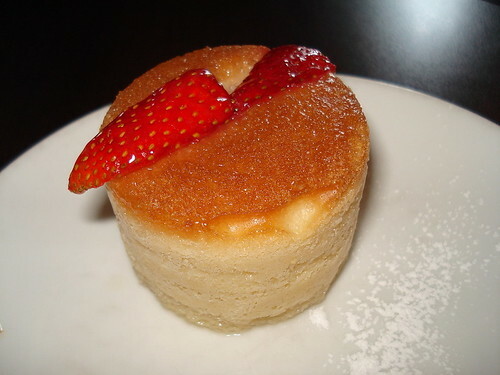 Not too sweet but not too memorable either. Baba', originally uploaded by Camemberu. The Baba' was an "accidental" order. I was merely pointing out to hubby how he would absolutely love the Jamaican rum in that sponge puff and the server dutifully assumed I wanted it. Well, at least hubby really did enjoy it. The custard and fruit went well with the rum. Has anyone else noticed that Menotti seems to be mostly filled with women?